is making the music news at the moment. I have been a fan of her music since her debut, No Angel, back in 2001 and, back then, I was amazed by its breadth and appeal. (The album was actually released in the U.S. in 1999 but got a worldwide release in 2001). Many might have heard her through a slightly odd channel: her song, Thank You, was sampled by Eminem for Stan (the third single from his album, The Marshall Mathers LP, in 2000). No Angel is a remarkable story. It is the second-biggest-selling album of the 2000s (in the U.K.) behind James Blunt’s Back to Bedlam and is a bit of a phenomenon. The album has conquered countries and provided this complex yet accessible songwriter to the world. I like the name ‘Dido’ but it is the start of a very long and confusing set of names - ‘Dido Florian Cloud de Bounevialle O'Malley Armstrong’ is her full ‘title’. The fact she has a German boy’s name (Florian) in the pack led to bullying at school whereas ‘Dido’ on its own is a lot more focused and less confusing! I am not a massive-mega-superfan of Dido but I do like the fact you can easily listen to her music and get something from it. It is not something, too, one plays in the background. The music demands focus and attention and you can hear how every note means something to the songwriter. No Angel spawned huge singles such as Here with Me and Thank You whilst Life for Rent (2003) gave us White Flag and Life for Rent. The charm and easy-going nature of her first two albums appealed to many and whilst there were musical snobs out there – saying there was no edge and it (the music) was aimed at the mainstream stations – the fans grew and her name got to new people. As Dido’s career progressed; the music, if anything, grew stronger and more rounded. 2008’s Safe Trip Home is more nuanced and has more mystery; the songs more consistent and, whilst there is that need for a bit more edge from the voice; the comfort and sense of revelation you get from each moment is fantastic. 2013’s Girl Who Got Away saw Dido step into new musical pastures and experiment. Split between London and California, Jeff Bhasker and Greg Kurstin were among the names that were part of the writing/production team. Although there were some detractors; I feel the album is stronger and more nuanced (a word one can easily apply to Dido) than her early work. There was a lot of affection for that album and, as has recently been announced, there will be another studio album coming. 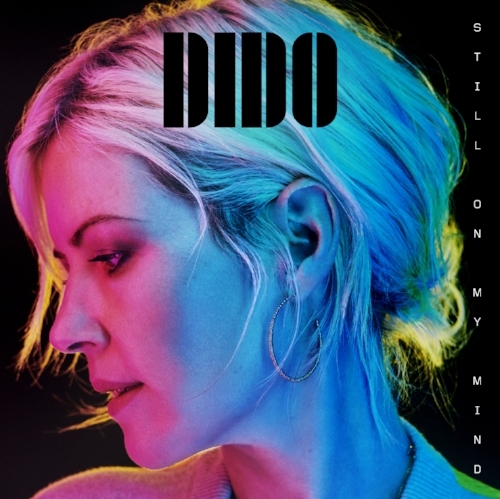 Still on My Mind will be released in March - and will be Dido’s first new record in six years. “Multimillion-selling singer Dido has announced her first tour for 15 years. The 27-date world tour begins in Prague on 5 May, reaches the UK on 26 May and then heads to the US. Fans will hope to hear her perform some of her biggest hits, such as Thank You, Here With Me and White Flag, alongside music from her new studio album. Titled Still On My Mind, it is her first album for five years. Written in the UK with her brother Rollo, it will be released on 8 March. Dido's last studio album was 2013's Girl Who Got Away, which reached number five in the charts”. “I spent a lot of time saying no to that question [of touring],” Dido tells Billboard, calling from New York the day after she previewed the album for the first time. “But as an artist and a songwriter, you start really missing being right in front of the people who listen to your music. It makes you a better writer and artist to actually engage with the people who listen to your music -- it’s all fundamental." She says the songs on the upcoming album felt right to perform live, but that they won’t make up the entire set list. “I was making a list of songs we’d perform and thinking about the old songs and how much fun it’s going to be to play them again,” Dido reveal”. Today, music is filled with that need for artists to get on the road. They will release a single/album like Dido is now and then, inevitably, there is that plan for touring. Sometimes, artists will be on the road for months and the only reason they stop is to begin work on a new record. I guess they need to get the music out there and respond to the demand but I wonder how they have the energy to keep going! Look at all these mainstream artists and they are being ferried around the world and touring all over the place. If there is any sort of gap or lack of dates then people start to ask why and there is that speculation. Some explain it is because of illness or family concerns but few feel they can detach from touring for years and only do so when they feel it is right. I guess Dido’s toured extensively until 2003 and she has been focused on albums and her family. Tickets are available for her upcoming tour and I know a lot of people who are keen to snap up these rare dates. I wonder whether it will signal a more regular return to the stage but I have been thinking of those who leave gaps between touring and whether more artists should follow suit. I feel many embark on lengthy tours because they feel they need to rather than wanting to. Many asked, after the peak of her popularity, what happened to Dido and why she was not touring. I feel there is that pressure for artists to keep plugging and play as many dates as possible. It is rare for a big artist to have that intense focus – as Dido did back at the start of her career – and then to be quiet on the gig front. Many are buying tickets so they can reconnect with her and she, in turn, feels being on stage is necessary now. 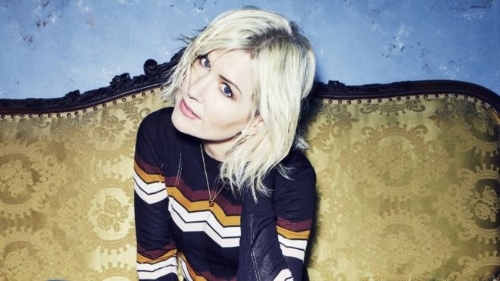 Since her last album, 2013’s Girl Who Got Away, Dido has spent much of her time raising her now 7-year-old son, who she says is always introducing her to new music. She herself is big on Sigrid, Christine and the Queens and Khalid (“He has one of my favorite voices I’ve heard recently”)”. BRINGING her music directly to the people.